You've probably seen A LOT of green kitchens popping up on your Instagram feed lately — and they won't be going away any time soon! 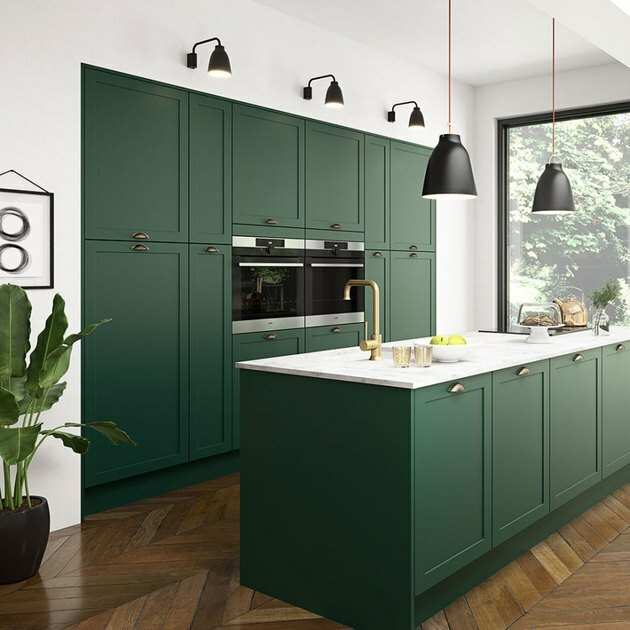 Going green (color-wise) is one of the latest trends in kitchen decor for 2019. And with a spectrum of stunning hues to choose from — ranging from a rich emerald to a calming dusty sage — it will be easy to find a look that complements your taste. Don't take our word for it, just take a look at these nine gorgeous green kitchens if you need a little nudge. And don't worry — feeling green with envy is perfectly normal. Add a hint of drama (the good kind!) by going dark. 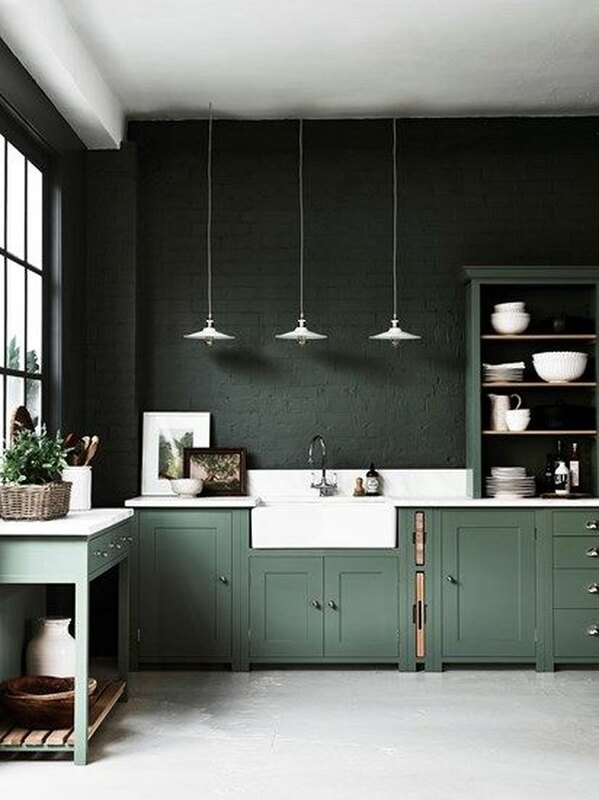 Not only do these striking green cabinets make a statement in this monochrome kitchen, but when paired with dark green walls, the end result is completely luxurious. 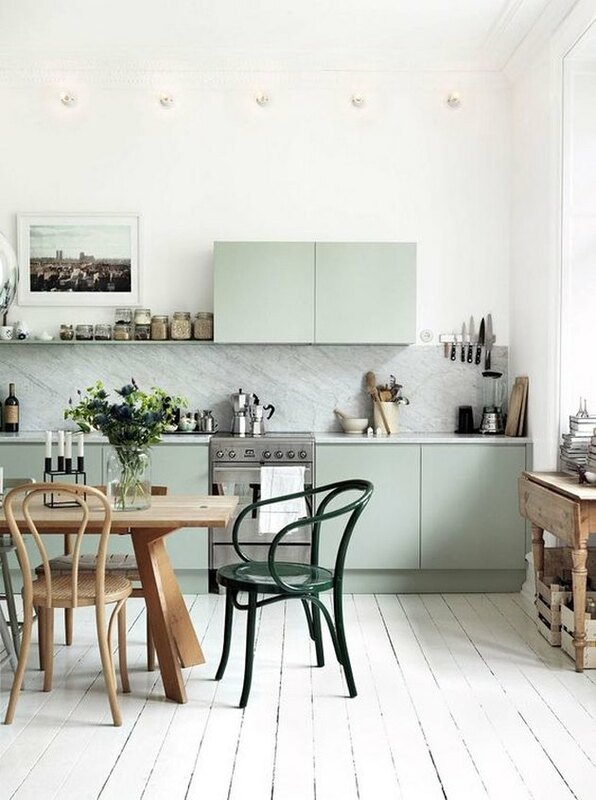 Opting for a lighter mint green will add feel-good vibes to your space and bring a hint of playfulness to your cook space. We are swooning over this Scandi-chic kitchen belonging to interior stylist Emma Persson Lagerberg. Even the marble backsplash has a green tinge. 3. Mix and match green hues. 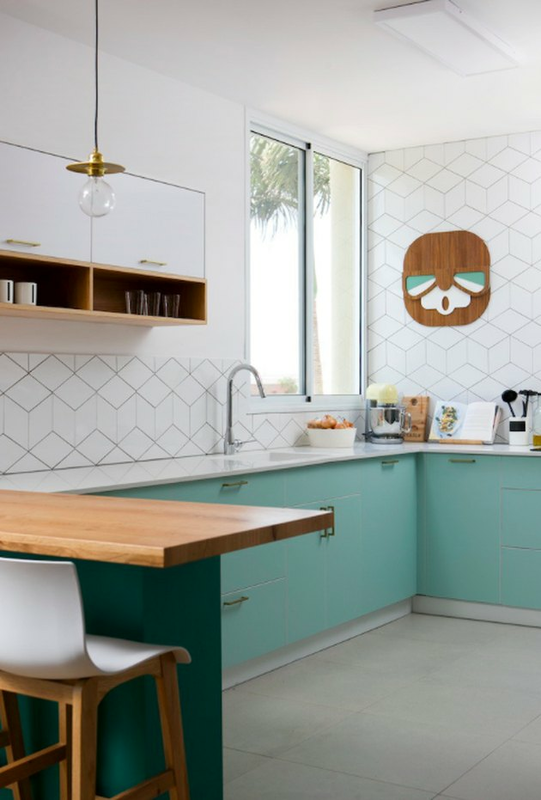 In this kitchen designed by the team over at Studio Details, the soft, sea foam green cabinets could end up looking too sweet. But when paired with a dark green dining counter and geometric tile backsplash, the delicate color feels decidedly modern. 4. Take inspiration from nature. 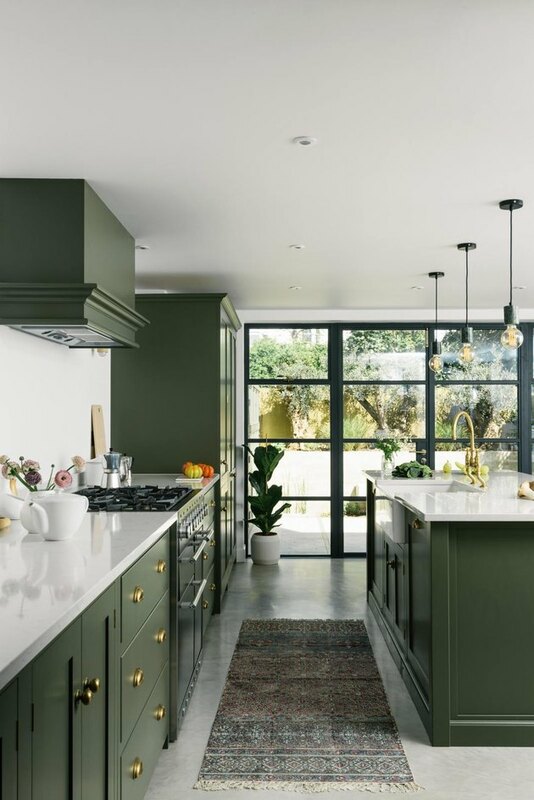 This gorgeous olive green kitchen draws inspiration from the outside world, mimicking the rich greenery found in nature. Sleek fixtures, white countertops, and black framed windows keep the look feeling more industrial than heavy. 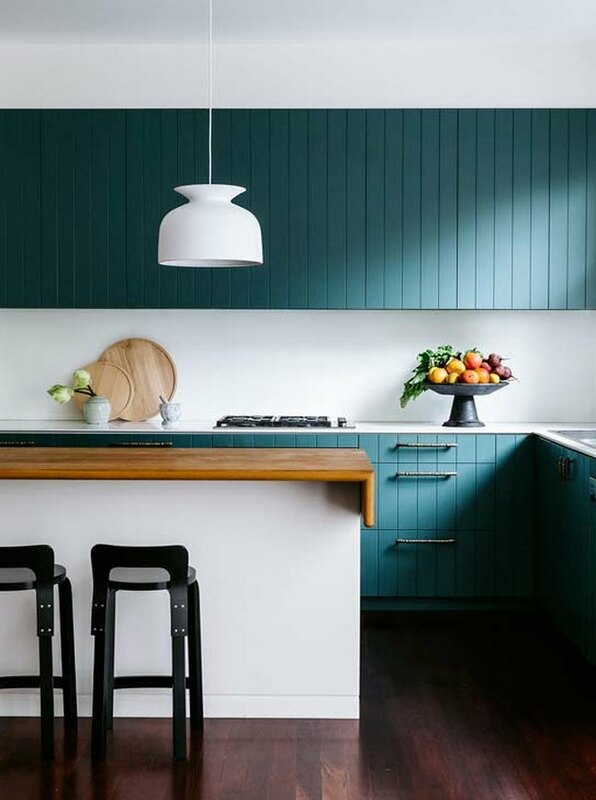 You don't have to go wild when it comes to choosing the perfect green for your kitchen. Opt for soothing, muted hues like Jaclyn Peters did in this cookspace. Pair with warm wood finishes and a farmhouse sink to create a rustic look that's quite dreamy. 6. Make it feel cohesive. 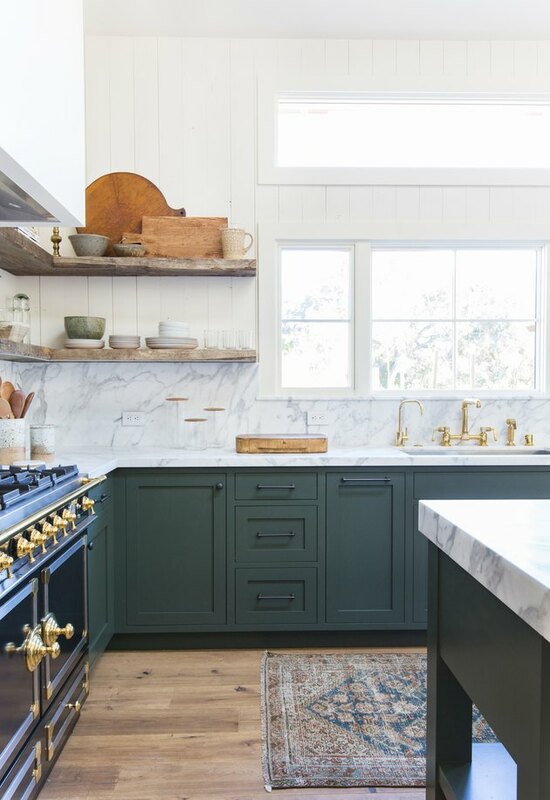 Choosing a dusty green like this one can help pull the many different elements of your space together and make mixed metal finishes feel more cohesive. 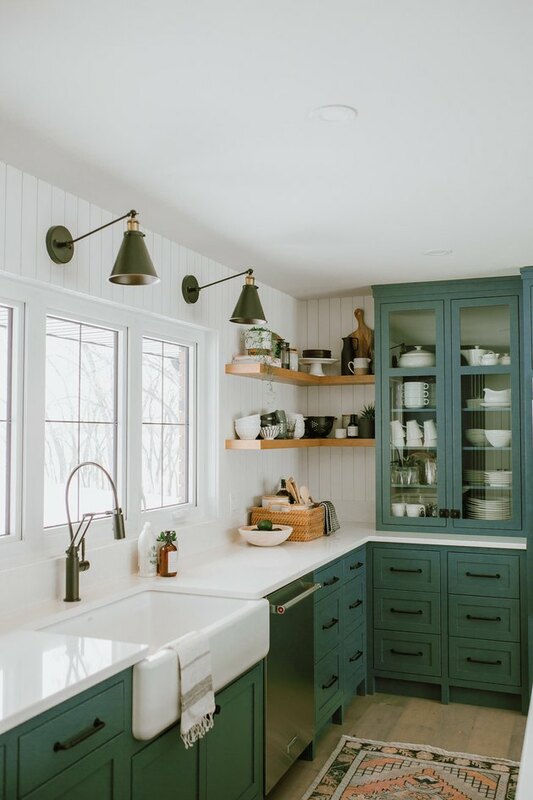 In this home designed by Amber Lewis, the green cabinets work almost like a neutral, while still adding depth to the overall design. Copper accents are innately eye-catching. 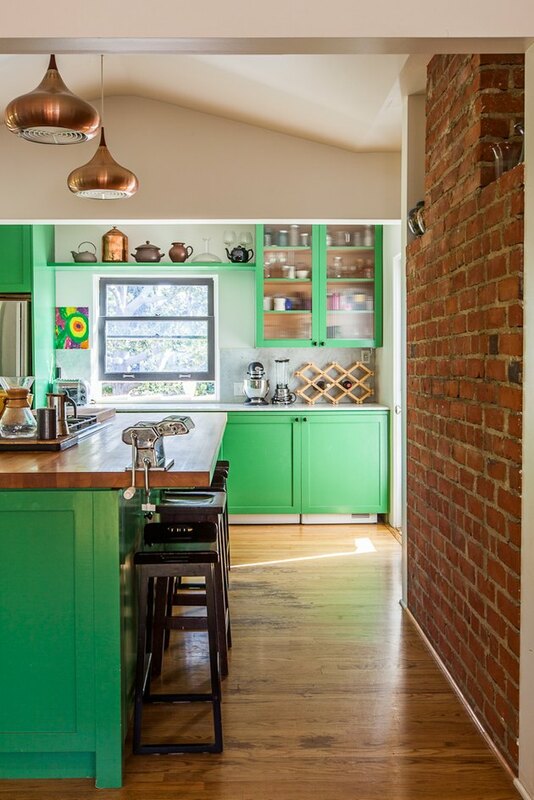 But the bold richness of this metallic finish won't overpower a strong neon green — in fact, its rosy hue makes the perfect complement, as seen in this kitchen designed by Bestor Architecture. 8. Keep contrast in mind. What makes a green kitchen work is contrast. The crisp white walls and counters paired with sleek black light fixtures help balance this bold hue and keep it from feeling too heavy. And the herringbone wood flooring doesn't hurt either. Swoon! As if green cabinets weren't eye-catching enough, adding texture can pack even more of a punch. The beadboard-style cabinetry in this beach house designed by Arent & Pyke brings visual interest to a beautifully minimalist kitchen.